Is it time for you to stop living from fear? With this one call you can literally change your whole reality around fear. Is it time for you to stop living from fear? What if fear isn’t real for you? What if it is a construct? Could you imagine what your life and future would look like if you had no fear? What would you choose? What would you allow yourself to receive and be? What could you create and generate? What if what you call "fear" is actually … excitement? Using a completely different way of looking at this age-old subject, Dr. Dain Heer provides a way that can LITERALLY change your whole reality around fear. 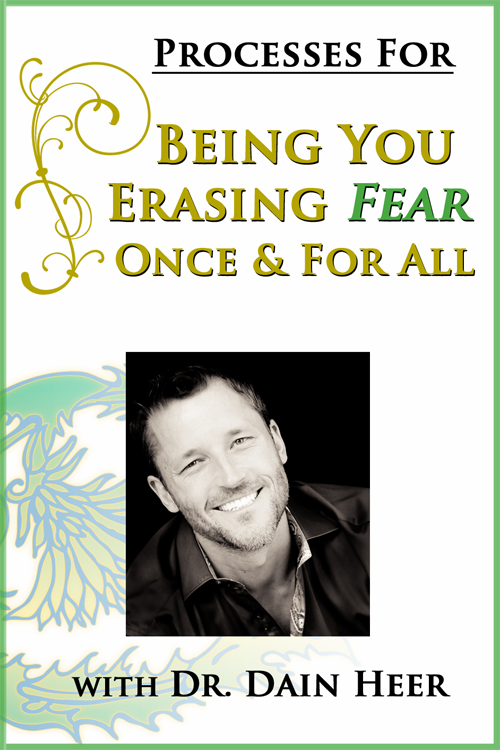 Included in this telecall is a three-step process that you can use anytime the lie of fear shows up for you to give you the capacity to eliminate fear completely (really) and step into who you truly be.